For centuries after the Enlightenment, the Catholic Church, especially its leadership, is holding onto notions about God and the world which modernity has abandoned. 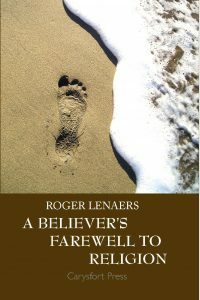 In this book, the controversial Jesuit priest, Roger Lenaers, deals with the need for a new idea of God, one which does not stand out as an anomaly in the modern world. In this he is relinquishing the image of a Father and Ruler God, which is largely anthropomorphic and which sees God as being outside the cosmos. The book deals with the resulting changes with regard to personal prayer and especially to the liturgy and the sacraments. The new conception of God brings a fundamentally new understanding of the significance of the Bible, which ceases to be an infallible book of oracles and is now to be seen as specially inspired human words — but not the word of God. But how can a Christian existence be lived — without diminishing its substance — in atheistic modernity? It is to be lived essentially in dedication, inspired by the spirit of Jesus, to working for a truly human world, the “Kingdom of God”. Lenaers finds, in this battle against egoism, greed and contempt for humanity, a surprising ally: atheistic humanism which grew from the soil of the Christian tradition.